MiddleBakers are pan inserts that conduct and evenly distribute heat in standard size baking dishes and loaf pans. This ingenious idea is the solution to the age old problem of half-baked goods that are crispy on the outside, but mushy in the middle. 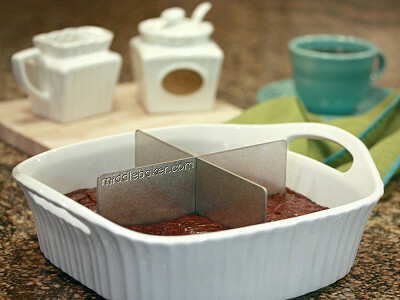 Designed in a grid shape, it also separates and divides for easy slicing and customizing add-ins like nuts on brownies. Created by ER nurse Bets Kohnen and her daughter Stephanie Peterson, these enthusiastic home chefs were tired of overcooking edges while waiting for their banana bread to bake through in the center. Like anyone who takes the time to mix and measure with precision, they wanted their food to turn out perfectly every time. Made in the USA with commercial grade, food-safe stainless steel, it won’t rust or peel. Lightly grease the grids and place in a pan. It performs as well for brownies as it does for lasagnas. MiddleBaker is an essential additon to your well stocked pantry. Our mother & daughter team developed the MiddleBaker out of the frustration of not being able to get items completely baked in the middle without over-baking the outside edges. The MiddleBaker can be used in almost any pan that you currently have in your home, the standard size fits almost any pan, including a pie pan; while the loaf size fits….what else, a loaf pan. One other tip: if you are going to be taking your baked goods somewhere and don’t want the tinfoil or cellophane to fall on your dish, just keep the MiddleBaker in your pan and use it to prop up the covering. So, it's a couple of pieces of stainless steel? @Brad Worth every penny! Oh wait! $19.95???? I thought it said $1.95. Who would pay $19.95 for this? @Jerry Hello, the MiddleBaker is made in the USA of kitchen grade stainless steel. Use it with pans that you already have, so you don't have to purchase additional pans to use the MiddleBaker. Plus now your not throwing away food because it didn't get done on the inside, or you may not be able to eat the food on the edges because they are overdone and burnt because you were trying to get the middle done. It's a cost saver and easy to use, clean and store. Brilliant! I do a lot of baking and if this works as well as it appears to work, I think it would be well worth the money. Plus, it is easy to use, easy to clean, and stores flat. Good job! 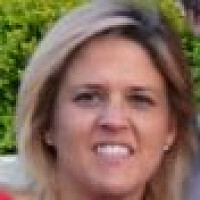 @Carolyn Thanks Carolyn, it works great and we are really excited to be offering the MiddleBaker. When you use it, you will want to set your timer 5 - 10 minutes early as we have found that because foods are cooked evenly and the heat is now being conducting from the middle also, that your food gets done quicker too. How awesome is that we are all in such a hurry and this helps cut down on some of the baking time. @Stephanie absolutely reduce cooking time! this is a plus! What size pan is this intended to work with? Just looking at the item itself, I assumed it would be intended for use with a 9x9 or a 9x13 inch pan, but the pan in the photographs looks much smaller. @Ernest Hey Ernest, there are two different sizes of MiddleBakers. The standard size fits almost any size pan (except a loaf), The very first picture you see has the standard size in 9x9 pan, 8x8, pie plate, 9x13. However, the loaf size is what you are seeing in the video. Hope that helps. grommets? some great, some, ...not so much. 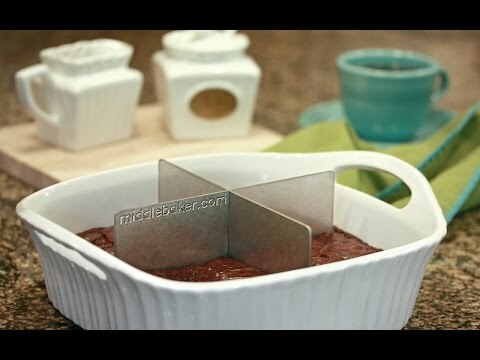 I happen to have the same loaf pans in the vid, and they usually work great! however, i' have had this problem. sorry, but just with a "snips" tool I made this same thing from an old pan, purchased for 50 cents at a yard sale,and it works so good. recycle, or new, the concept works well regardless. please don't regard this as an insult, my last purchase was for the benchcraft wallet, which is worth every penny spent. I just think this one isn't worth the price. @christopher I agree. Seems a bit steep, but a great idea. I'd purchase one for MAYBE $9.95 but not $19.95. @christopher Christopher, glad to hear that your project worked. The MiddleBakers concept is simple and works very well, the product is made of high quality stainless steel and in the USA, you wouldn't be able to "snip" these.... The MiddleBaker's are also free of harsh/sharp edges. I have read and reread the description of this product. I am an accomplished baker and cook and I am at a disadvantage about what items don't cook in the center. If you are having an issue with the center not cooking properly perhaps the problem is actually your oven temperature and/or on what shelf the pan is placed. A $5 oven thermometer could save the day; even if you have a brand new oven it could still need adjustment. Amy from The Grommet team here. Stephanie and the team at Middle Baker appreciate everyone's thoughts here. Our comment board exists to give a voice to our community and it serves that function very well, even when the opinions aren't supportive. Our testers found it to be very useful and easy to use and for those who are looking for simplicity and ease with baking, this could be a great solution. @Angela Angela, the MiddleBaker is made from stainless steel so you can not put it in a microwave oven. @Stephanie @Angela, good idea, we will have to look into that more. @Stephanie microwaves cook from the inside out. I am not a professional baker, but I do very well. I'm not a scientist, either, and don't know until a few tries how ingredients should be adjusted to get things to come out perfectly in every new recipe. I am a working mom, who gets home at the end of a long day and goes to the trouble to make something in a very modern, industrial kitchen complete with induction, triple ovens, etc. And, I really like this product! I don't think the price is unreasonable-the problem may be the recipe, the baker, or my new ovens-I don't know-don't have time to investigate all that! For me, this tool is insurance to make sure the time I've just spent is not wasted & produces something cooked completely! @Linda Linda, you rock, thanks so much for the support. I too have a convection oven, induction oven and such and the MiddleBaker is awesome to help get the middle of your goods baked evenly. I do a lot of baking and the MiddleBaker helps insure that the baked goods get done. @Stephanie @Linda...I don't have a oven that yours if I did I would take the time to learn how to achieve the best baking possible in it. Maybe you Lady's just need a regular oven. Then your bake goods would come out like mine... Perfect! Every time. And my 11 year old Grand Daughter she can bake in my regular oven. And it comes out crazy awesome every time. Make several from the insert of an old ice cube tray. I Love that it is a mother, daughter ideal...Yea! MiddleBakers are pan inserts that conduct and evenly distribute heat in standard size baking dishes and loaf pans. This ingenious idea is the solution to the age old problem of half-baked goods that are crispy on the outside, but mushy in the middle. 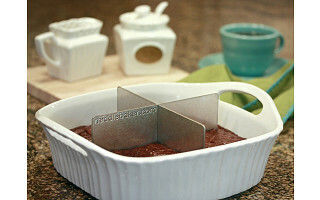 Designed in a grid shape, it also separates and divides for easy slicing and customizing add-ins like nuts on brownies. Created by ER nurse Bets Kohnen and her daughter Stephanie Peterson, these enthusiastic home chefs were tired of overcooking edges while waiting for their banana bread to bake through in the center. Like anyone who takes the time to mix and measure with precision, they wanted their food to turn out perfectly every time.